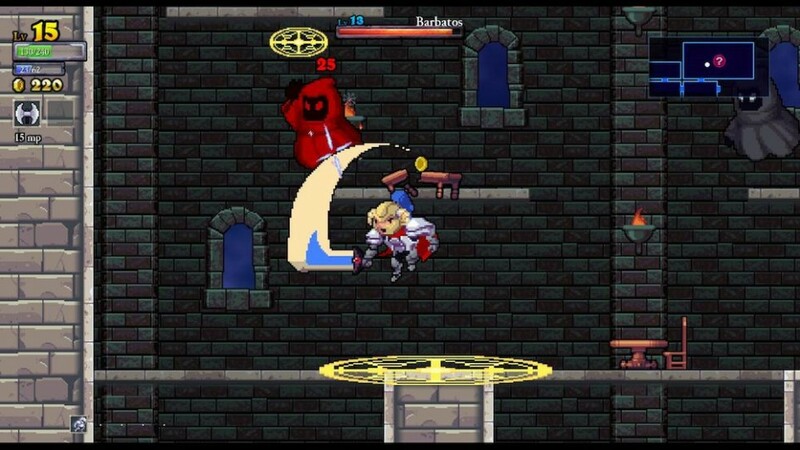 On its face, Rogue Legacy is a simple 2D platformer. Not unlike Castlevania, the player progresses through a castle, fighting his or her way through room after room before engaging a series of bosses, leading to a final encounter with a mysterious omnipotent enemy. It doesn’t include an all-star voice cast, overproduced cutscenes, or the latest track from Eminem. It is purely and unapologetically a video game. And it might just be my favorite game of 2013. The narrative is a simple one. You play as a family of adventurers executing a siege on a castle. When you die (and you will die a lot), you start over as that character’s son or daughter. The money you’ve picked up in your previous run can be used for upgrades before your new one, but must be used completely or else it will disappear. This encourages you to use your money often and not hoard it for big upgrades that would be game-breaking in the early stages. This upgrade system is terribly addictive. It rewards you handsomely for great performance, but doesn’t punish you too badly if you throw up a dud. A great performance will net you enough money for a series of upgrades. A dud will simply be over quickly, and you’ll be right back in action in a matter of moments. As you upgrade your stats, you go deeper into the castle, encounter mini-bosses, find new and more lucrative sections, and eventually take on the main boss. The combat is tight, enemies and bosses are challenging but not unbeatable, and music and visuals are perfect for the type of game that Rogue Legacy is. The randomly-generated traits each descendant acquires range from useful to detrimental to hilarious. IBS, for example, never gets old. Your adventurer simply has a rumbling in their tummy, and expresses it audibly at seemingly random intervals (though his assclaps seemed oddly timed with the landings of my jumps). Dyslexia is exactly as it sounds: het letrets on in-gmae extt rae umjblde up. All of this adds to an already excellent experience that also includes an understated, but deep story. The only thing better than Rogue Legacy itself may be what it represents. Cellar Door Games has provided continuous support, releasing content patches including new bosses, new rooms, new classes and new traits – all free. 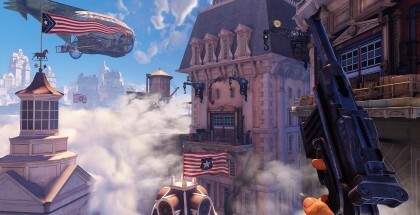 I played it on Steam (at the time of writing, it’s on sale), but it’s coming to PlayStation platforms in 2014. If you didn’t have the means to play it before, you may have them very soon. Rogue Legacy may not change the face of gaming, and you won’t be emotionally distressed at its ending. But after putting dozens of hours into this unassuming platformer, you’ll likely experience a different emotion: pure satisfaction. Check out the rest of our GOTY articles here. Just bought it in the Steam Sale… hope it’s fun!